View The Music Video Below. 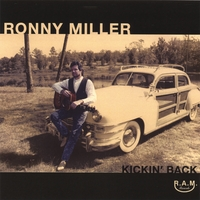 An MP3 of Ronny Millers Hit Song from the &quot;Kickin&#39; Back&quot; CD. Ronny Miller was the first artist to appear on UZ on the Radio and TV... View The Music Video Below.